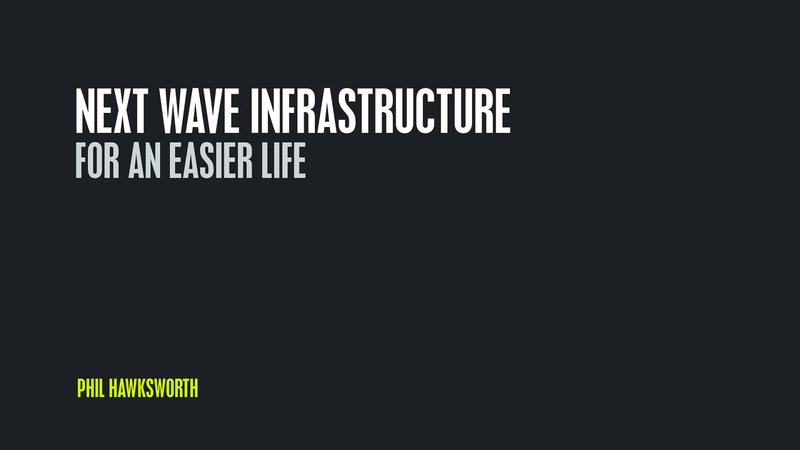 Next wave infrastructure We Are Developers. 2018 @philhawksworth netlify WE LEARN A LOT AT CONFERENCES ~ 150 talks ?! netlify Serving for the win JS Heros, 2018 @philhawksworth WHERE DOES IT HURT? Next wave infrastructure We Are Developers. 2018 @philhawksworth netlify THE PERFECT PROJECT TIMELINE BRIEF AWARDS LAUNCH START SCOPE RE-SCOPE CLIENT REVIEW FINAL SIGN OFF FIXES “ ” ! Next wave infrastructure We Are Developers. 2018 @philhawksworth netlify "
View Next wave infrastructure – and how to use it for an easier life on Notist.